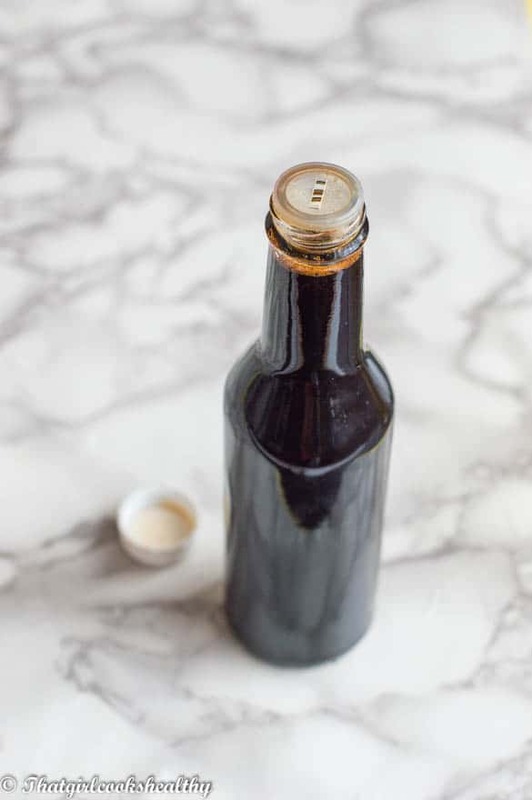 Homemade browning sauce – the essential multipurpose pantry staple condiment which is used in a number of Caribbean recipes. Browning sauce is probably one of the most important ingredients you’ll ever encounter in Caribbean cooking. Seriously, I mean if you’ve ever browsed the pantry of an Islander you’re guaranteed to find a stash of this stuff. Of course my family were the same, we always had some browning in the pantry, my mother wouldn’t have it any other way. As a young woman, who was reared by both my mother and grandmother, I still to this day like to whip out the browning when cooking some Island food. Lately I’ve been thinking about the components of this rather rich sauce, When I made my homemade Brown stew chicken and Jamaican beef stew I knew I had to credit it’s richness to this sauce. The best thing I could have done for myself was start making my own brown sauce from scratch. It’s a zillions times cheaper doing it yourself and very VERY easy to make. What is exactly is homemade browning sauce? I’m sure you’re probably wondering what’s so special about browning sauce? I just read your mind, you see it’s traditionally used to create an enriched deep colour hence the name. Browning creates the most amazing dark brown hue I’ve ever seen in the culinary world, it’s my key ingredient. 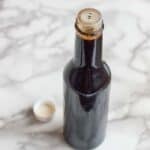 When is homemade browning sauce used? Caribbean people add this is stewed meat, gravy and even extend it to baking the infamous black cake during the festive season. Browning is essentially charred brown sugar, more noted for it’s strong hue rather than it’s nutritionally value. Unlike the store brought kind, my recipe is completely unadulterated and free from additives and preservatives. Please note that the flavour of the sauce is slightly smokey from charring the sugar. The longer you allow the sugar to burn the smokier the flavour and deeper the colour. I decided to add some himalayan pink salt once liquidised to balance out that smokiness. Add this one to your gravy, stews or whatever you need to enrich….go on I dare you! I’ve updated the post with a few progress so you have an idea of what to expect. Again! please DO NOT use cold water as this will ruin the recipe because the sugar will harden and not dissolve. 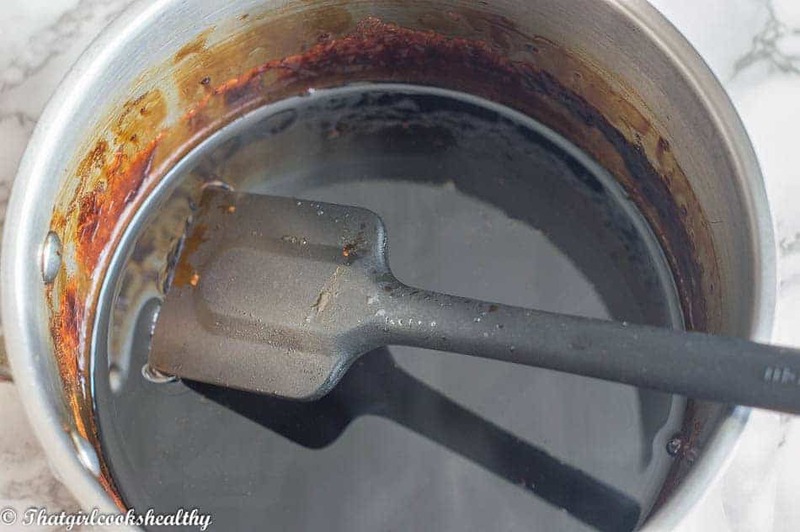 Use hot water to dissolve the sugar NEVER cold. Store in the refrigerator for several months to over a year once chilled. Don’t forget to “show some love” by pinning this recipe on your pinterest board and follow me on pinterest and facebook too!! Who knew ! Now I can make my own browning sauce. Thanks Charlene! Hi can u use the browning sauce as soon as its made? Yes, as long as it’s cool. It should also thicken up in due time if it hasn’t done already. Charlene!!! This looks and sounds absolutely wonderful! I’ve never tried browning sauce, but I bet it’s amazing! Hi Anne, it will change your culinary experience for the better. Do give this one a try, highly recommended. Homemade browning is by far better than the store brought kind. It does have a hint of smokiness from charring but it won’t compromise the flavour and still does the job. I will do some fish recipes once I go to the Market and buy more fish. I’m glad to hear that Renee. I love receiving feedback for my recipes, highly appreciate it. This is a recipe we will will definitely be sharing! Browning is impossible to get in our little Middle Eastern village as well so this is a handy recipe without the gunk. This will definitely come in handy for some Caribbean cooking while in the UAE. This is such a useful recipe! We just had to share it. Browning is impossible to get in our little Middle Eastern village as well so this is a handy recipe without the gunk. is the browning meant to taste very bitter? Yes, it has a bitter taste to it because it is essentially burnt sugar. The store brought kind is exactly the same thing only they disguise this burnt element with additives. Remember when you’re using it, you will only be using it for colour not flavour so no more than a teaspoon worth is needed. I have used it in my brown stew chicken recipe and the browning sauce has no bearing on the taste. 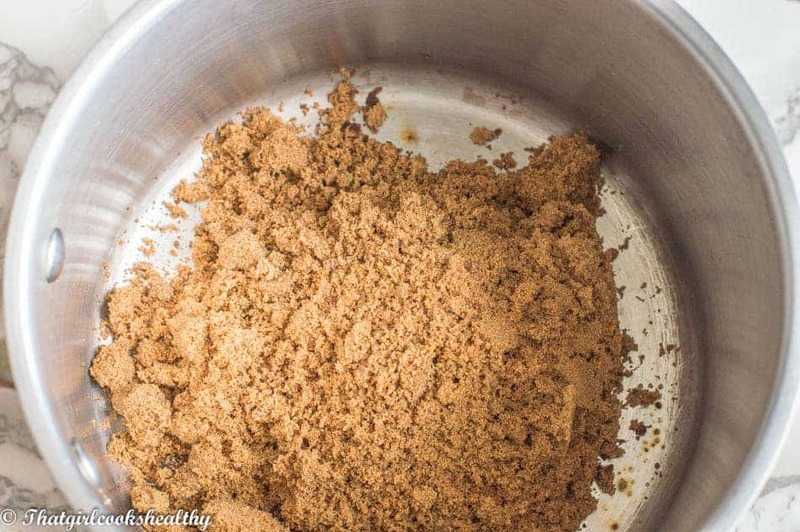 Thank you for this recipe, can I use brown sugar as an alternative to the palm sugar and would I use the same amounts? Hey MJ, Although I don’t encourage the use of brown sugar yes you are more than welcome to use it with the same measurements, no need to adjust anything! WOW ! I just made this ( cooling as we speak) to use in a corned beef recipe . I love using kitchen bouquet, I can’t wait to give this a try tonight ! Thank you thank you thank you Charlene ! PS I used brown sugar as I have no c. Palm sugar . I would love to see the final results as I’m very curious to know how this recipe would work with corned beef. I hope you can send me a picture or at least provide feedback. Where can I buy Browning in the UK?? Heh, I got here for the exact same reason, looking for a recipe for browning sauce to use with corned beef. I think this is the recipe he was talking about, which I’m about to make as well. I got here from the same recipe, because I had never heard of browning sauce. How did it turn out? I’m thinking I might just rub brown sugar on the brisket instead, but I want to make this anyway! If coconut palm sugar is not available what do you suggest as an alternative? I truly appreciate this recipe. I am from Haiti and as a Caribbean woman, we enjoy the rich color in our cuisine. I purchase my browning at the grocery store but lately been concerned of how healthy it is. It is so important to me what I feed my family. I came across your recipe and am so delighted that I can create this on my own. The coconut palm sugar is a healthier version sugar due to its low glycemic index. The Himalayan pink salt normally contains a collection of unbelievable nutrients. I will definitely try this out this weekend. It is good to be at ease knowing that I know what I am feeding my family. Thank you so much for sharing this recipe. Hi Viviane. So glad to have another Island sister on broad with the health wagon. The great thing about the browning sauce is not only is it healthier but also lasts for a very long time. You only need a small amount to work with and it lasts forever which will save you money in the long run. Going to try this homemade browning sauce in place of store bought sauce for my corned beef brisket tomorrow. Thanks for your healthier version! You’re welcome Debbie and enjoy! Hello there. Thank you for commenting. It’s perfectly fine with me if you wish to adapt the recipe to your situation. What’s important is that you enjoyed the finished result. Thank you ever so much for this fine recipe! I can’t find the Browning sauce anywhere at all in Finland but now I can make my own and forget ordering it from Amazon. This is simply brilliant. Hi Marko. You are more than welcome. The good thing about recipes such as this is that anyone can make it regardless of their location. How long will it last if you forget to put it in the fridge? Like I did two months ago. It was great but not sure I can still use it. Hi Nancy. The sauce should be fine so long as it wasn’t stored in a warm environment where bacteria can breed. Thanks so much for sharing your wonderful recipe and kind words of encouragement. Thank You from a NH organic gardener and senior citizen. … I grew up with store bought browning sauce. … today, thanks to you, I made my own! … Also had all of your ingredients in my pantry! Thanks again! Lovely Karen! Glad you liked and more importantly made the recipe. Will this recipe have the effect of ruining the pan? Also, do you still add salt if you are using it for baked goods? Yes you should still add the salt. It has not ruined my pan, but then again mine are non stick and heavy duty. If your pan isn’t non stick then I wouldn’t advise making the recipe just to be on the safe side. I just followed recipe and made this for the first time. So far so good. Turned out great. Never cooked anything with browning sauce before so this will be a first! So glad to hear that Sparky. Thank you for this recipe. Mine is cooling as I type. I am happy to not use a store bought sauce with all of the colorings and additives. I think I did something wrong though. It took a really long time to turn dark brown, not the five minutes you listed. However, when I added the water, the sugar clumped up badly. I put it to on low heat and stirred until it was smooth. Should I have added hot water at then end? Hi Laura. Yes hot water should be used to ensure the sugar doesn’t clump up and remains smooth. I will revise the recipe post to reflect my answer to your question. I thought I would give you an update. We had an early Thanksgiving today. I used your sauce in my gravy and it came out beautiful dark caramel color and tasted so good. I got compliments on it and asked to bring it to a Christmas potluck. Thanks again for the recipe. Can the browning sauce be frozen? Hi Laura. I’m so happy to learn that yourself and co adored the browning sauce. I would advise to refrigerate the sauce instead of freezing. 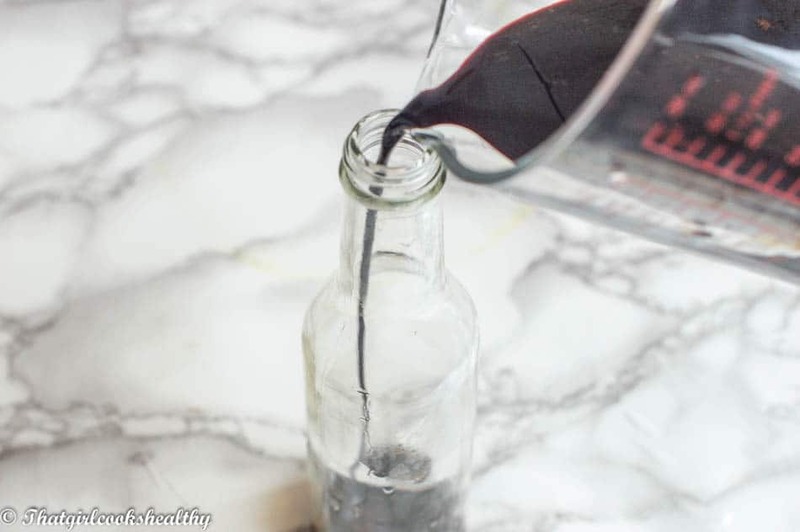 Simply pour it into a sauce bottle with a stopper and use accordingly. The browning has a VERY long shelf life so as long it is stored in a refrigerator, you can use at your leisure and save a ton of money! Made this sauce today to try my hand at Caribbean black cake for a friend’s birthday treat. Took about an hour total time at the stove and since I’ve never used browning before I’m hoping it turned out well but it’s a lovely dark color and smooth consistency. Hi Elsie. Based on your description sounds like the browning sauce turned out well. Where can I buy the Browning source in the UK, need it for baking. I have a question regarding the browning sauce. 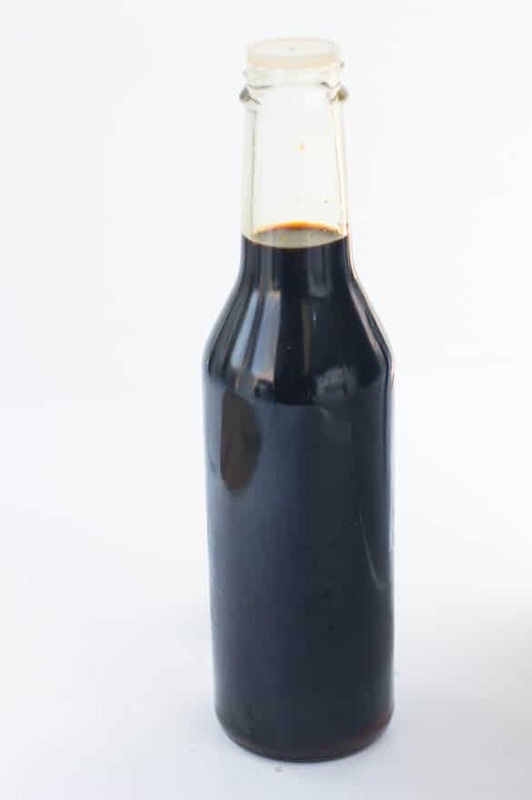 I was wondering if it could replace caramel coloring for a copy cat cola recipe? Hi Trevor, yes it should do, I’m not 100% sure if it would yield a very concentrated colour like cola though, maybe off brown and not a deep brown. It’s not something I’ve tried but we do traditionally use browning to colour black cake if that helps. I’ve just moved to China and its Christmas time. I really wanted to make the Jamaican Christmas cake but they don’t sell browning here. Thank you. My cake will come out really good now. Hi Joleen. I’m glad that I have come to your aid with my browning sauce for you to use in China. Enjoy! I’ll preface by disclosing that I’m not Caribbean. My other half is, however, and I’m seeking to learn how to cook the types of meals that he likes. I just want to make sure I did this correctly, because it smells horrid. Is it supposed to smell like a nice smokey flavor or is this extra burnt sugar smell the correct result? I feel like I may need to start over, but this too more like 15 minutes rather than 5. Hi Nikki. The browning should have a smokey/slightly burnt smell but it definitely shouldn’t be overly strong. You might have over caramelised the sugar and made it burn which is why it smells awful. You can give it another try, once the sugar darkens, that’s when its ready for the next step. 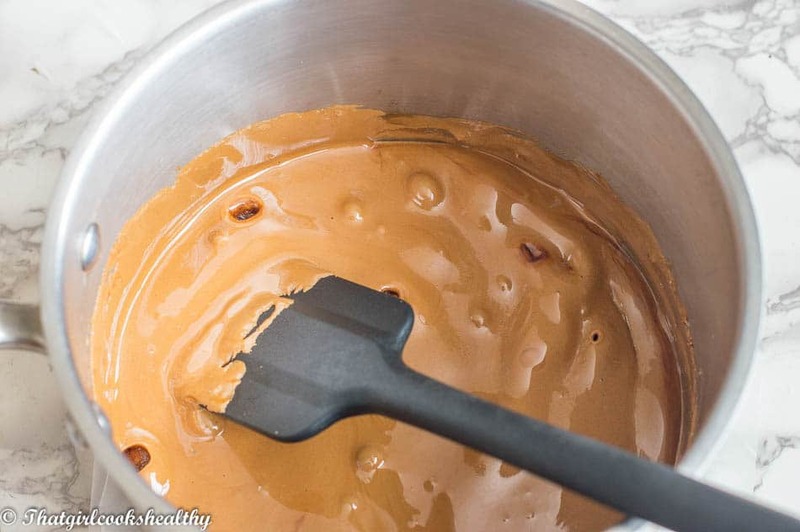 Don’t let the sugar go black, just literally past the caramel stage is suffice. Girl thank you. I’m a Jamaican living in Mo it’s hard to get Jamaican product here. Need to make a Easter bun cake acrosss your recipe and made it. Came out perfect. It’s cooling on the stove right now. Will update a photo of the bun when I make it. Thanks a lot for the recipe. I use regular brown sugar.